Our proposed economic system is based on our proposed science of SORAnomics which in turn is based on our proposed science of Metascience, derived from David Hume's 'Science of man'. Meta is Greek for 'beyond' or 'after'. Science is Latin for 'knowing' ('Conscience' is Latin for con + science or 'with knowing'). 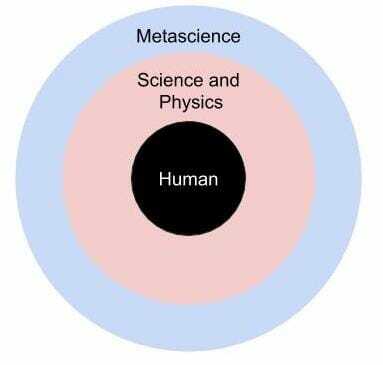 We define metascience as the system of study of the body of knowledge that is derived from beyond the immediate senses. It is commonly called metaphysics today. However, the difference between metascience and metaphysics is that the former is based on maxims set by enlightened philosophers, while the latter has no rules and is arbitrary. Because metascience has rules, it can lead to predictions while metaphysics can not. Also, our definition is different from the academic definition which is still largely based on the senses. Metascience is different from science because the former largely relies on inference while the latter relies on direct observation. Since metascience studies things that are beyond the senses then it has to rely on inference. This is similar to how scientists know about blackholes by observing how light and dust acts around them simply because blackholes are not directly measurable. We can apply the same technique in medicine for example, to find out how homeopathic cures affect cancer even if homeopathic principles cannot be directly obesrved. Unlike ordinary or 'vulgar' metaphysics, which just studies things for the sake of intellectual exercise, and unlike religions which cannot be challenged, metascience is purpose-built ultimately for human happiness and allows open-ended skeptical questions to prevent dogma and sophistry. Will an economic policy or a certain research lead to human happiness? This is a fundamental question that metascience is designed to pose all the time. While modern science is limited because the senses are limited, metascience is not -- ideas are kept in existence unti they are proven false in experience. This means that ideas such as God, prana, homeopathy, time travel are all respected until they are proven to be false. Alternative established systems like Ayurveda, Tai-chi, Traditional Chinese Medicine, and yoga for example can be studied under metascience to come up with a practical system of cures and disease prevention. This balance of positive openness and negative skepticism allows creativity and freedom of thought, while maintaining a kind of intellectual 'quality control'. It also allows new technologies to be created because it does not prevent people from trying out new paths of experimentation. An example of an implementation of this system is in Adam Smith who used Hume's methods to discover the universal principes of trade which he then used to create The Wealth of Nations, which became the foundation of economic science. Smith was able to create a radically different economic science based on labor, capital, and food (the cause of value) that was different from the mainstream Commercial belief during his time that was based on money (the effect of value). Unfortunately, that mainstream system won and evolved to become modern Economics which measures everything in US dollars and is full of either poverty or inequality, financial crises, and bubbles. Like Hume, Smith was also a philosopher who explained that metaphysics goes before physics. In every case, Species or Universals, and not Individuals, are the objects of Philosophy. Whatever effects are produced by Individuals must all proceed from some universal nature in them. It was the business of Physics, or Natural Philosophy, to determine the Nature and Essence of every particular Species of things to connect all the events in the material world. Metaphysics and Logics originally arose out of Natural Philosophy and were thought to go before Natural Philosophy to communicate the knowledge of Nature. Metaphysics is the general nature of Universals and the different sorts or species they might be divided into. Logics was built on this doctrine of Metaphysics. From the general nature of Universals and the sorts which they were divided into, Logics tried to ascertain the general rules to distribute all objects into general classes and determine to what class each object belonged. They thought that this was the whole art of philosophical reasoning. Metaphysics is subordinate to Logic. Likewise, our metaphysics goes before physics. For example, the principle of karma or action and reaction exists first in metaphysics, and exists later in physics as Newton's third law of action and reaction. Also, the metaphysical principle of love attracting people to each other exists in the physical arena as gravity attracting physical objects. So how can metascience help me? Metacience can systematize alternative sciences in order to create new solutions that could be cheaper yet more effective. For example, alternative cures could be studied in depth so that people can get cured cheaper, leading to happiness for more people instead of a few pharmaceutical and hospital investors as is happening nowadays. It can also break the barriers that hinder current technologies from progressing. For example, modern scientists are limited by the belief that physical objects can only travel by physical means through Newton's three laws. However, Hume explained that time and space are ultimately based on the human mind, so this means new technologies can be developed to allow faster than light travel similar to what UFOs have been observed to use (they do not carry bulky fuel supplies nor have engines with exhaust to 'push' them forward). Metascience can be applied to society itself so that social changes can also be predicted just like artificial intelligence makes predictions (one of our AI models is called 'Isaiah' which imitates the prophets in predicting social outcomes like war, natural disaster, etc based on historical data). In economics, we use metascience to create the SORA system which solves unemployment, poverty, inequality, and financial crises by attacking the cause before it builds up to crisis levels.